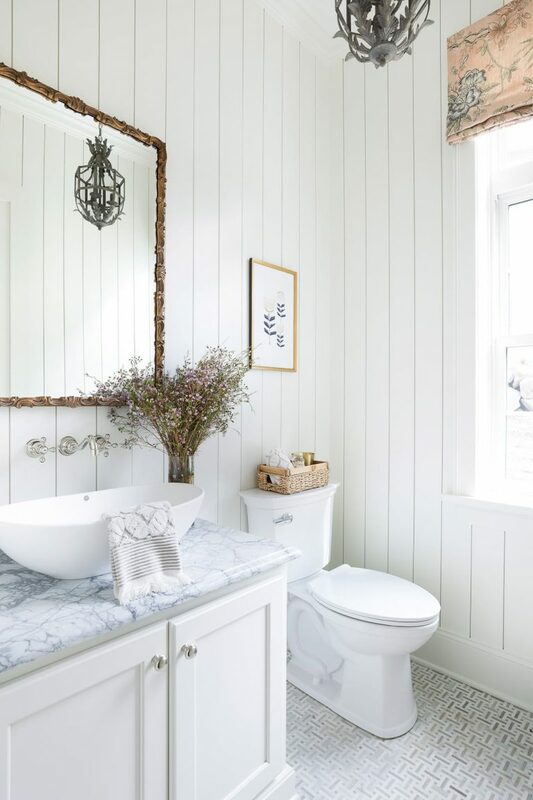 When you think of shiplap, what do you think of? Chip and Joanna Gaines? Farmhouse? Rustic? All are fair options. For us, we believe that shiplap is a lot more versatile than people give it credit for. 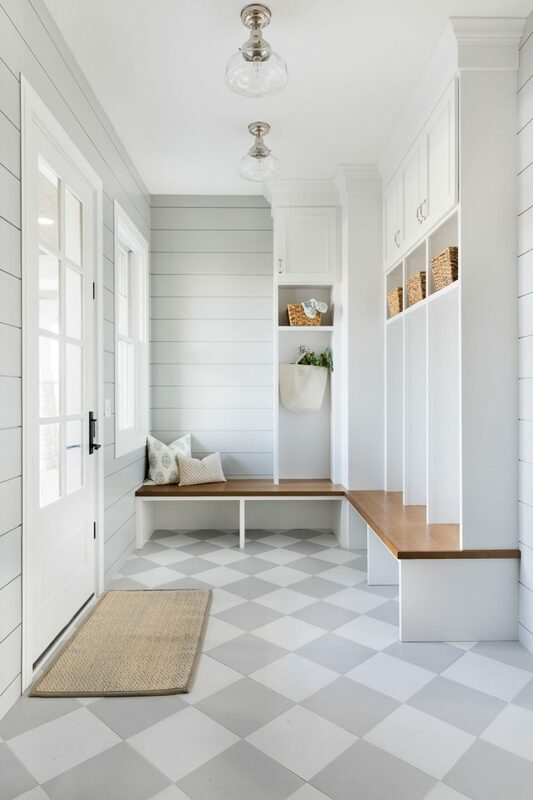 Depending on how it’s set (horizontally vs vertically), painted, and where in the home it’s featured – shiplap can find it’s way into any home whether it’s a traditional, modern, or industrial style. So why is shiplap so popular? Many reasons! When it comes to decorative paneling, shiplap is less labor intensive while still giving a space great visual interest. We love that it adds texture and warmth to a room and the options in which it’s treated are endless. Add it to one wall for a focal point, install it on a ceiling for unexpected moment, or change the entire look of your home and install it in numerous rooms. Below are a few examples of how we’ve used shiplap in our recent projects and a little insight into why we added it into our design for the specific space. If you want to just add a subtle touch of shiplap to a space, try using it as a backdrop for a larger focal point like we did for this fireplace and bar. Shiplap is a lot more durable than sheetrock! 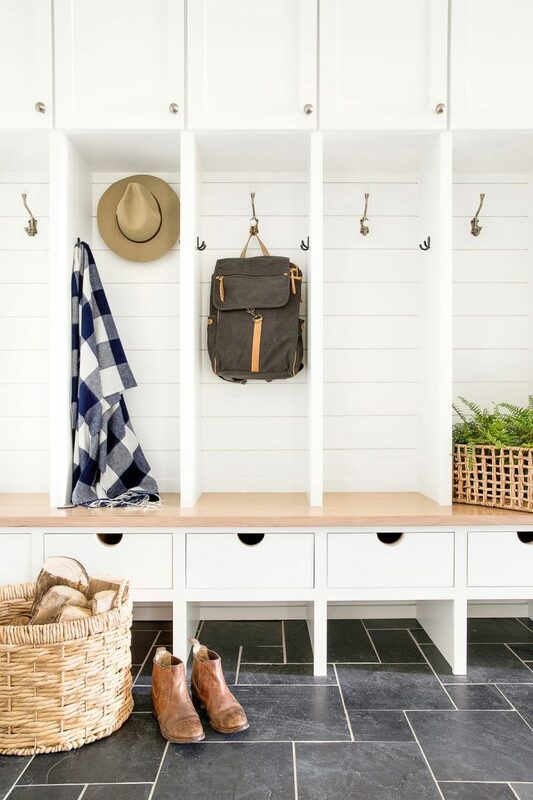 We love to use it in high traffic areas like entryways and mudrooms that tend to get a lot of use. For a more traditional look, we like installing shiplap vertically. Not only does it add height to your space but it provide a more updated appearance than the typical horizontal look. 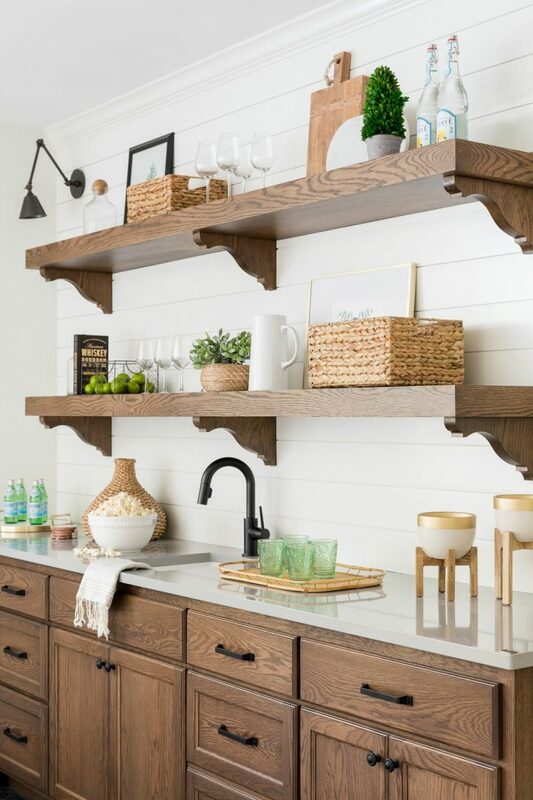 If you’re worried about taking the plunge with shiplap, try it out in a smaller space like a laundry room, powder bathroom, or wine room. Create a big impact by covering all the walls or use it as a chair rail and pair it with a fun wallpaper! What are you thoughts? 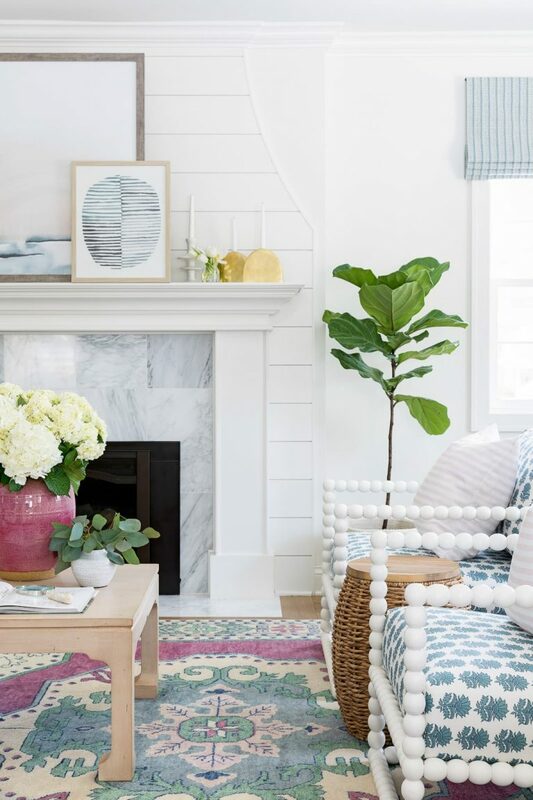 Are you a fan of shiplap? Let us know in the comments below! What is the best way to install shiplap vertically? 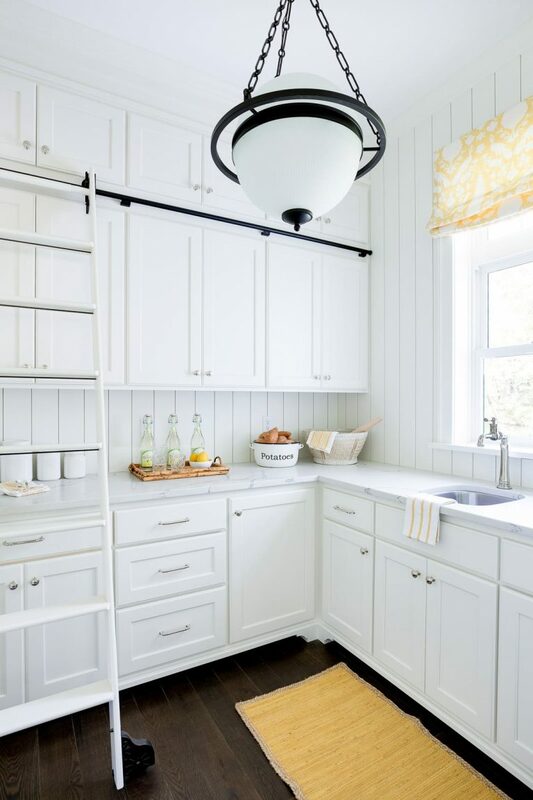 With typically framing being 16″ on center, how can you nail in the narrower shiplap boards? Thanks! Hi Julia! We always always always recommend working with a professional for installation! They always know how to set it seamlessly. Love ship, but farmhouse is not my home decor style. This blog gave me great inspiration. It’s going up in my powder room.